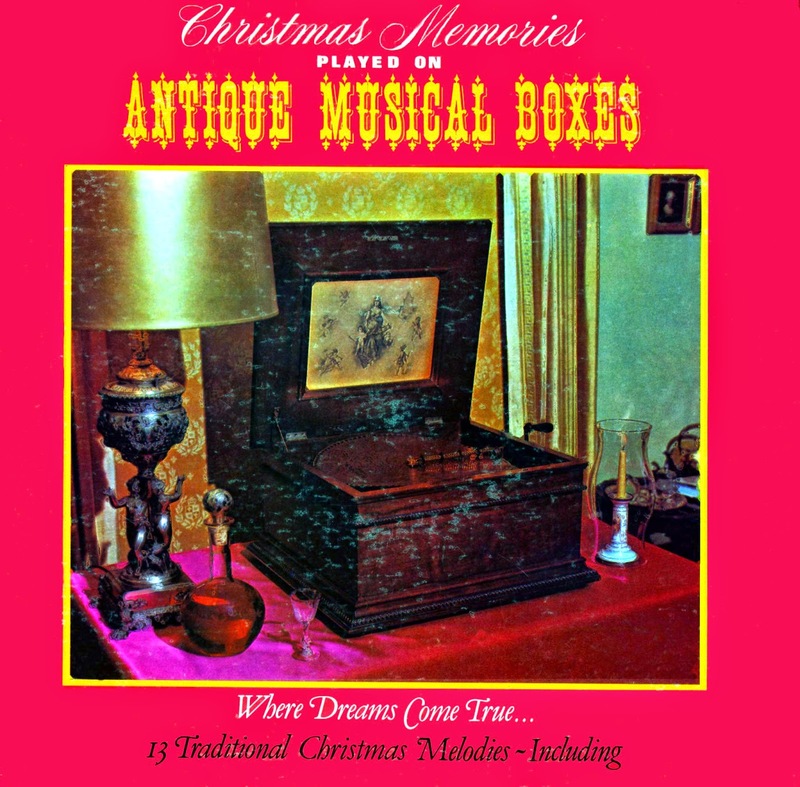 Music for Maniacs: "Christmas Memories Played on Antique Musical Boxes"
"Christmas Memories Played on Antique Musical Boxes"
Victorian-era robots! Plinkety-plonkety music not played by human hands! If the phrase "music box" conjures up images of that tchotchke in your grandma's living room with a ballerina twirling around on top as "Moon River" plays, you may be surprised to hear how lush and orchestrated these beauties sound. We don't know exactly what singers and musicians of the pre-recording era sounded like, but as these big boxes, sporting such impressive names as the 'Symphonium,' were actually found in household parlors of the late 1800s, listening to them is a bit of a time machine into them long gone days before radio, records, or the internet provided in-home musical entertainment, and song titles all started with "O." The tunes featured on this 1977 release are short, sometimes under a minute, so for the big hits like "Silent Night," they wind 'em up and play the song two or three times in a row. And if you hate Christmas music, there's plenty of unfamiliar songs here that don't feel especially seasonal and could feed your mechanical-music jones all year 'round. O come little children, indeed. "The Imitation Fish" is another cherished tale to make your kids miserable. And who wants to set "The Paper Ship" to music? Thanks to Count Otto, and Windy! I visited the Musical Wonder House in Wiscasset, ME about 20 years ago. The music boxes and player pianos were pretty incredible. Found out they had stereo music boxes over 100 years ago, and player pianos were supposed to be played using the pedals and adjusting the tempo of the playback, not just played like a record. Not for everyone, and now closed. Woodworker: sounds like the Nethercut Museum in LA, one of those out-of-the-way places I've always wanted to visit, but have never made it to yet.